The peaches this summer have been the sweetest and juiciest I’ve had in a long time! 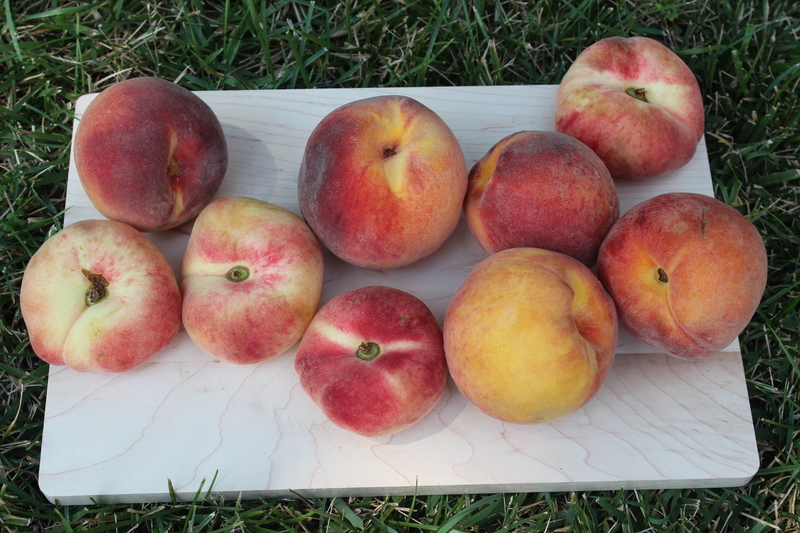 Whether they’re donut peaches or ordinary yellow peaches, they have been super satisfying. Aside from eating them plain, I’ve been putting them in a lot recipes like this peachy keen kale salad and this farmer’s market salad. I even glazed them with honey, baked them in the oven for the first time and ended up with a super healthy, melt-in-your-mouth dessert. Even though I don’t eat dairy products, I really enjoy and am always looking for recipes for rich and creamy foods and drinks that remind me of the “mouthfeel” of ice cream, cheese, and milk, but are made without those ingredients. Making dairy-free smoothies and milkshakes are one of the ways I like to do that. When my sister tried this smoothie, she said it tasted like one of the smoothies from Orange Julius…but better! This dairy-free, vegan recipe is quick and simple and doesn’t require any fancy ingredients. Blending the cashews with the liquid at the very beginning is what gives the smoothie its creamy texture without any milk, cream or yogurt! I use raw cashews in lots of other recipes to make dips and even cheesecakes creamy. You have to try this one for yourself – you will be amazed! Click here for the full recipe from Girl Makes Food. This recipe looks and sounds wonderful!! 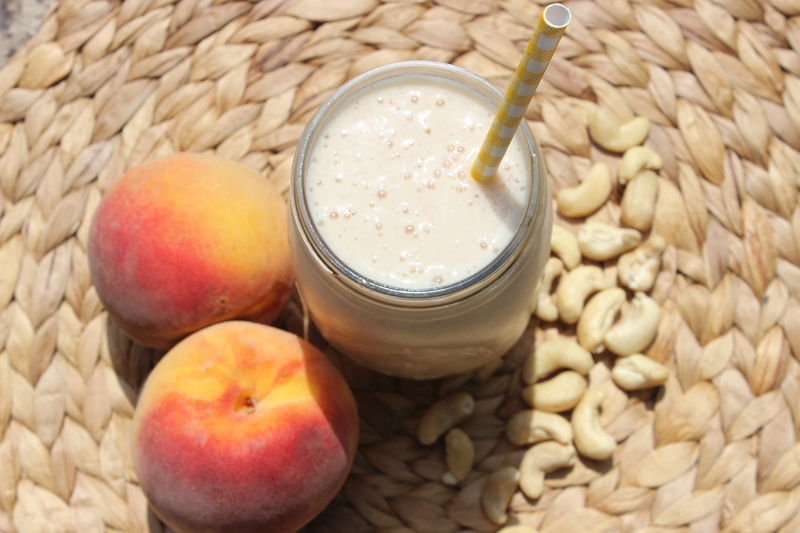 I’ve seen cashews in “cheesecake” recipes but I would have never thought to put them in a smoothie. I love peaches, too, they are so refreshing. Thanks for the recipe!! Kayla, let me know what you think! Yes! Cashews can be used in a lot of recipes to create the creamy texture, and I’ve used them in a lot of my dips and sauces along with these 3 versions of dairy-free cheesecakes 🙂 http://rachelsnourishingkitchen.wordpress.com/2014/07/28/deliciously-dairy-free-mini-cheesecakes-3-ways/. Thanks for taking the time to comment! 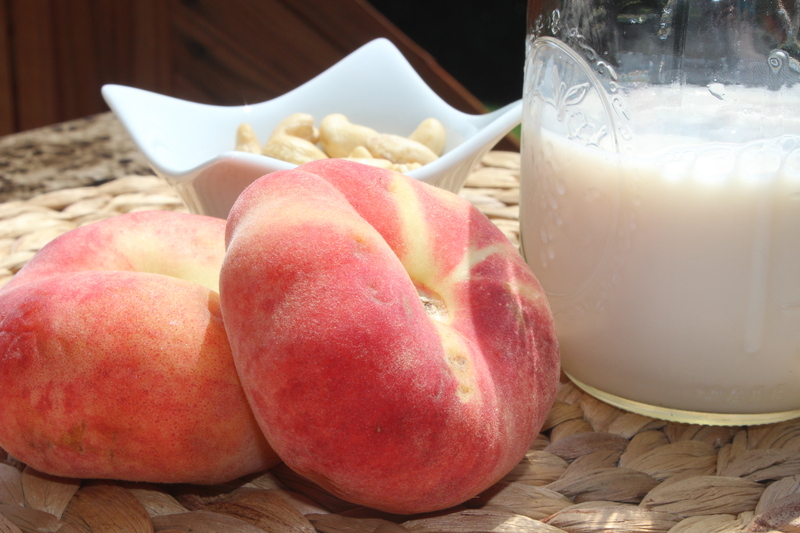 Peaches are my favorite and they have been exceptional this year! My son and I are also lactose intolerant and we loved this recipe. Thank you for sharing and keep up the good work!